Lock in a Tainan holiday package on Expedia right now! This is by far one of the simplest ways to save time and cash for your incredible adventure. Receive savings up to 59%* with a package deal on Expedia. In a matter of minutes, you can sort out everything you need for your next holiday using our enormous database. And — with more than 400 partner airlines and 321,000 properties from all around the world, you'll have the flexibility to pick and choose! There's no end to the number of wonderful things you can do when you visit a new destination. So why not get your trip to Tainan off to the perfect start by perusing some of our suggestions? After all – out there starts here! Bring a decent book, find an inviting grassy spot and relax in the pleasant garden air at Orchid Botanical Garden. There's an excellent range of things to keep you busy in this destination. Pick up some bread, cheese and a cold drink and enjoy a picnic at Hatta Yoichi Memorial Park. It's one of the most pleasant spots to kick back and while away a few hours. Still got some time to spare? If you're feeling brave, dip a toe in to check how cold the water is at Wusanto Reservoir. If not, just throw down a picnic rug and savour the scenery. 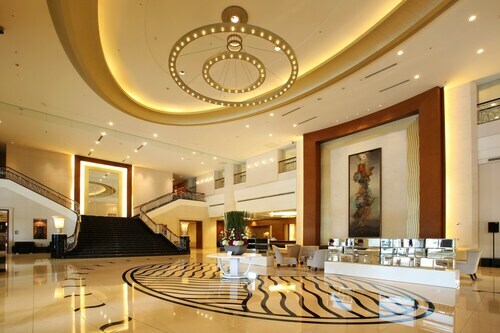 If you're seeking cheap holidays or luxury getaways in Tainan, it's advised you book your accommodations in advance. There are only 3 Expedia properties currently available. 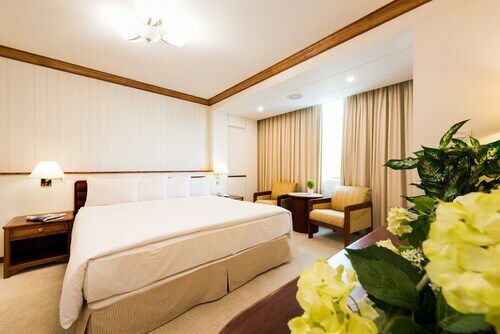 If you're looking for properties with great reviews and snuggly beds, try the Wusanto Huching Resort Hotel (No.92, Jianan) and the L'arc Hotel (No.252 Chenggong Road). Check in and clear security, board the aircraft, stow your bags and settle in for the journey! Your exciting trip to Tainan is just a plane ride away. When the wheels touch the tarmac at Kaohsiung International Airport (KHH), you'll be 40 miles (64 km) from the centre of town. One of the most important religious sites in Taiwan is an old temple complex filled with shrines and sculptures and noted for its architectural beauty. Spend some time at this 17th-century Dutch fort, known for its classical Chinese architecture, statues and picturesque gardens. Read heartfelt war correspondence, hear indigenous lullabies and learn about Japan’s 20th-century imperialism within this gorgeous monument. Discover insights into the early history of Tainan at the 17th-century stronghold that once helped to defend the city against attack. Escape the noise of central Tainan by stepping into this 17th-century temple. Admire the elegance and beauty of this place of worship. Join the locals as they walk, bike, sunbathe and enjoy the scenery of this pretty and diverse coastal area of Anping. Take a break from the busy city in this lovely park, a popular recreational space and the site of some noteworthy cultural attractions. Coast through mangrove swamps, go wildlife spotting and visit ancient temples and a whale museum at this expansive national park. Stare at the mesmerizing sight of an old warehouse building that’s been engulfed by banyan trees, then walk through its rooms. Explore incensed halls and appreciate the history of this 17th-century temple, with altars dedicated to Matsu, Taiwan’s God Mother. Statues, shrines, carvings, colorful architecture and legends of a powerful deity make this centuries-old temple well worth a visit. 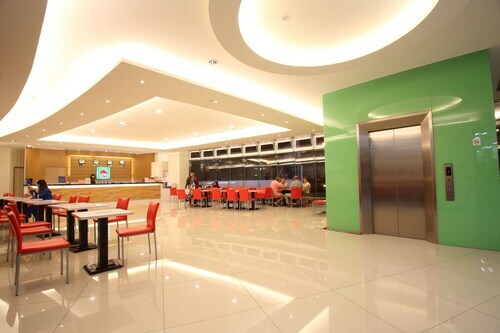 This family-friendly Tainan hotel is located in the historical district, within 1 mi (2 km) of Focus Square, Chihkan Tower and National Cheng Kung University. Tainan Confucian Temple and Shennong Street are also within 2 miles (3 km). Tainan Station is only a 2-minute walk. Located in the centre of Tainan, this family-friendly hotel is within a 15-minute walk of Kunshagong and Tainan Confucian Temple. Chihkan Tower and Shennong Street are also within 1 mile (2 km). Tainan Station is 27 minutes by foot. 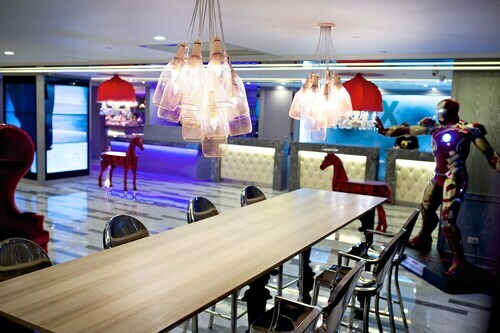 Located in Tainan City Centre, this hotel is within a 5-minute walk of Haianlu Art Street and Shennong Street. Chihkan Tower and Tainan Confucian Temple are also within 1 mile (2 km). Tainan Station is 25 minutes by foot. 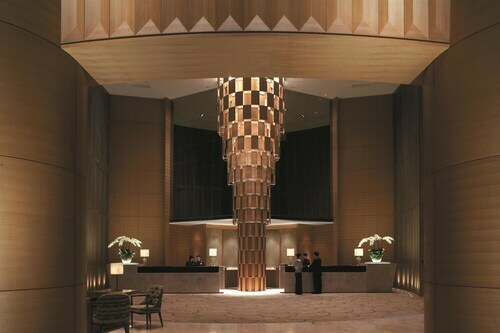 Located in Tainan City Centre, this hotel is within a 10-minute walk of Chihkan Tower and Shennong Street. Tainan Confucian Temple and National Cheng Kung University are also within 1 mi (2 km). Tainan Station is 15 minutes by foot. 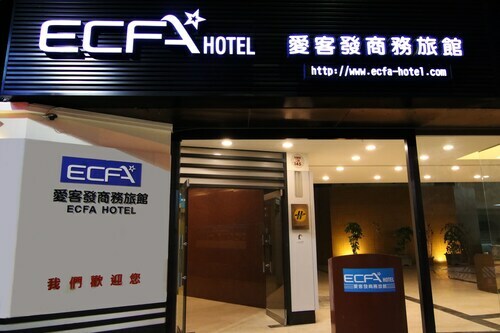 Located in Tainan City Centre, this hotel is within a 10-minute walk of Focus Square and National Cheng Kung University. Chihkan Tower and Tainan Confucian Temple are also within 1 mile (2 km). Tainan Station is only a 4-minute walk. 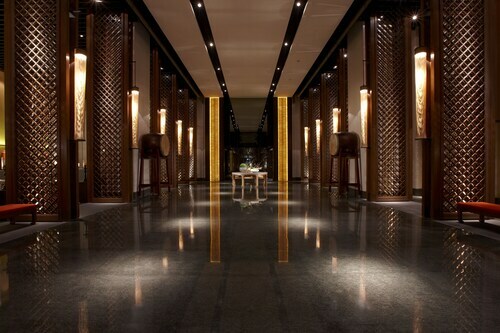 Located in Tainan City Centre, this hotel is within a 10-minute walk of Kunshagong and Tainan Confucian Temple. Chihkan Tower and Shennong Street are also within 15 minutes. Tainan Station is 23 minutes by foot. 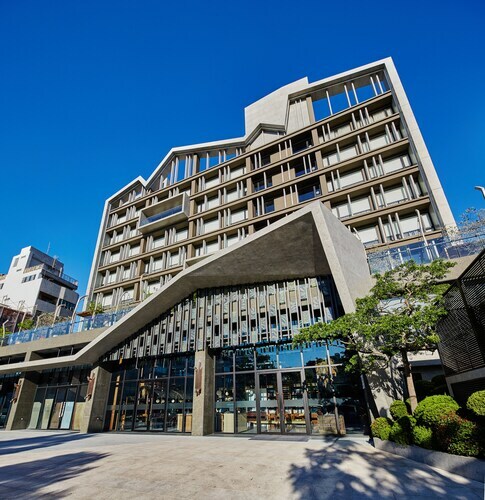 Located in Tainan City Centre, this luxury hotel is within 1 mile (2 km) of Blueprint Culture & Creative Park, Chihkan Tower and Tainan Confucian Temple. Shennong Street and National Cheng Kung University are also within 2 miles (3 km).